Tom Delaney is the Director of Government Affairs for PLANET. Jonathan: I’m speaking today with Tom Delaney, the director of government affairs for the PLANET organization. Tom, how are you doing? Tom: Pretty good, and yourself? Jonathan: I’m doing really good. I really appreciate you taking the time to do this and have this call with us today. Some people might know you, I know you’re heavily involved with PLANET and have been for a long time, but for those that don’t, would you mind telling us a little bit about yourself? Tom: Sure. I’ve actually been with PLANET or the combined associations, ALCA, landscape contractors and professional lawn care association of America. I came from the lawn care Association of America, and we’ve been PLANET I guess maybe now it’s going on seven years. With the combined groups, I’ve been with them for 23 years, and was actually the executive vice president of Professional lawn care Association for five years, and been combined for 23 years. Prior to that, I was with the Georgia Department of Agriculture pesticide division, and worked with licensing and enforcement of pesticide applicators. I’ve dealt with the environmental issues, and also since I’ve joined PLANET have dealt with immigration and H2B issues. Jonathan: Good. With all you’ve done in your experience, what’s a typical day or week look like for you? What do you spend most of your time doing? Tom: It’s pretty varied, because I’m dealing with local, state and federal laws and regulations. I’m a department of one. We do have a hired lobbyist in Washington to help us with Hill work, and I still go to Washington occasionally to do Hill visits and also on EPA federal advisory committee on pesticides. The days get pretty varied, from answering questions from members on different issues to working on grassroots information, trying to get our members to contact state and federal legislators on issues that are important to us. It gets pretty varied, going back and forth from environmental to labor type issues, some of them technical and business related. Jonathan: Is there one you spend most of your time on? Is any one topic right now taking up your time? Tom: H2B has been the biggest issue, because right now we’re actually involved in two lawsuits and suing the U.S. Department of Labor over their program rule and wage rule. Actually PLANET has spent $25,000 on the lawsuit to try and stop them from implementing these new requirements. Then at the same time we’ve been working with Congress to get them to try and block the law from their aspect. We’ve been spending a lot of time on that, and in environmental areas been spending time on fertilizer laws and regulations around the country that’s been spreading on nitrogen in the past, have been on phosphorous, and now lately they’ve been on nitrogen. Those are probably the two biggest issues that we’ve been concerned with over the last six months to a year almost now. Jonathan: Interestingly, those are the two that I think about most as well. We had talked before, through Lawn Care Millionaire and Service Auto-pilot I get a lot of questions, and these are two of the big ones. We have a lot of clients in Canada, and then a lot of our clients here in the U.S., they understand what’s going on in Canada and that’s changed up there. Those two topics, I’d like to talk to you a little bit about both. Maybe if you could start with labor, that’s one we hear from our clients constantly as they solve their marketing problems and figure out how to grow their businesses. Or if they’re really young in business with just three employees, labor is really the top concern we hear about. Where are we at with labor at the moment, from your perspective? Tom: Certainly part of the issue has changed because of the economy. In H2B program there is a cap on how many workers can come in, and the cap is 66,000, 33,000 for the first part of the federal fiscal year and 33,000 for the second part. When we first got in the H2B issues, we were constantly trying to work on ways to get the cap raised. At one point in time when we suggested they don’t count returning workers, that particular year got up to over 120,000 workers actually came under the H2B program, and that’s when the economy was going great. Over the last couple of years because of the economy, the issue hadn’t been the cap, in fact the cap hadn’t been reached I think, in the last two fiscal years because of the economy. The real issue has been the program rule that was suggested by regulation by the U.S. Department of Labor and the wage rule. For those that’s listening, whether you use the program or don’t use the program, it still affects you. Those might also be interested in finding out what’s involved in getting into the H2B program. The landscape industry, as those that are in it know, it’s labor intensive. You’ve got ground crews that you have to use for the work. In lawn care, chemical lawn care application, a lot of times if you’re in a residential area, one person can make a pretty good living in spraying lawns if he has enough lawns or granule applications. In the landscape area it seems most of the lawn care applications are either mowing or on commercial contracts. Well, because of the labor intensive-ness, and because the seasonality of business in many states; they found the problem of trying to find workers that they were only going to use for eight to ten months out of the year, and then not need them the other time of the year. It’s tough trying to find employees that want to work under those same conditions. That’s where I think the H2B program came in, where it was a temporary or seasonal need, and you met the workers for ten months or less. That fit into those that were either bidding on contracts that if they won, they needed the workers, or with the seasonality and also the location of trying to find other workers made it more difficult. Those that don’t use the program, the question is too of the workers that they have, and whether they have the proper paperwork or not. Certainly companies know they have to follow their requirements of getting the proper documentation of the worker to prove that he’s eligible to work, that he’s legal to work. We also know the paperwork sometimes is not legal. If the paperwork looks good, you’re required to take it. You can actually be sued if you start not following their procedures for all workers. Those that have workers that may have questionable paperwork, when they get a Social Security no match letter or when anything in Congress is going to change how they deal with comprehensive immigration reform, or even if you get audited, I understand one of our members got audited and lost 30 of his employees, but yet he was not in violation of any requirements. He had all the proper paperwork that was required and it all looked good, but once they actually verified the workers’ legality and Social Security numbers and paperwork, found out that 30 of them were not eligible to work. All of a sudden he lost all of those workers. Jonathan: Were these 30 workers in the H2B program, or 30 workers locally that he had paperwork on? Tom: These were locally that he had, and again had a driver’s license or Social Security cards on, so he had the proper documentation in his records. There he was, doing everything he was required to do, and there he was at a loss of not having the workers to do the contracts and the jobs he’s had. For some of the reasons that I’ve mentioned, people have gone to the H2B program. It’s a program that you have to follow the requirements to and qualify for by following the required steps. Just because you want to use the program, that doesn’t mean that you may be eligible to use it. First of all you have to apply for the workers 120 days before the date of need. The U.S. Department of Labor works with the State Department of Labor under contract, to be the first step in the process. You have to advertise in the local newspaper for American workers. The paperwork is pretty complicated. I’d say that probably 95% of all the industries that use H2B, and that is the seafood industry, the landscape industry, the hotel and restaurant industry, the thoroughbred industry, there’s just a lot of seasonal and temporary businesses that use the H2B guest worker program. In filling the paperwork out, it’s so difficult that like I said, 95% of the people use agents, not only to fill the paperwork out, but if you’re wanting to get those workers in, those agents work with recruiters to help you find those workers in the particular country that you’re maybe bringing them in. The majority of them do come from Mexico, but a lot of them come from other South American countries. You start 120 days, you fill out the paperwork, you do the advertising and stuff and get to the first process with the idea of trying to get certified with the U.S. Department of Labor for a certain amount of workers. While we never encourage people to request more workers than you need, because some companies have wasted a number of visas or certifications by requesting too many workers, you’ve got to at least request a few more than you need. Because the workers, once they get interviewed at the consulate offices, could be refused to come in. Then you’re short those visas. Or those workers may not work out and you may have to send them home, or they may have a relative or somebody get sick and have to go home and then you’re short those workers. Some of them get those additional workers. After they get approved by the State Department of Labor and then goes to the U.S. Department of Labor, you receive a certification for a certain number of workers. There’s a prevailing wage that you’re required to pay that’s based on not just the state you’re in but the location you’re in. In, say, Texas for example, there may be a prevailing wage in Dallas and a prevailing wage in Austin, that’s based on interviewing workers that are in the same fields or companies what they’re paying these workers. You have to advertise to U.S. workers, you have to pay a certain required wage for these workers. Then you’re paying your agent and you’re paying a premium processing fee with the next step, which is $1,000 with U.S. CIS, and that’s immigration service. They’re the ones that will give you the final approval to request and get your workers after you’ve gotten your certification from the U.S. Department of Labor. Then the last step in that is the State Department, who will end up setting up appointments for your workers at the consulate offices where they’re interviewed before they come into the country. Sometimes they’ll ask questions and if they don’t answer the questions right, or feel that they’re a flight risk and may not come back, then they’re not approved to come over. The majority of the people using the H2B program have been using it for years, and the workers, many of them have been coming back for five and ten years. The next program that has come along with the H2B program is these proposed regulations by the U.S. Department of Labor, who actually say they’re protecting American workers and they’re also protecting the H2B workers, but in fact they’re trying to implement regulations that make it so costly and abusive, that people will not want to use the program anymore. If the wage rules go into requirement, which in most cases require you to pay up to 50% more per hour for your workers, and then per hour for the H2B workers and saying any U.S. worker that similarly does the job, that you’re going to have to pay that same amount for that worker. That’s part of what the wage rule is. The program rule is implementing so many other requirements that it’s going to be costly and more hoops to jump through, that people are not really going to want to use the program. There’s an H2A program which is an agricultural program, and they don’t really have a cap. As you may know, the agricultural industry nation-wide has had a lot of problems trying to find workers. They have a bunch of illegal workers. Some of them are using the H2A program, but it’s become so cumbersome to use and so much litigation in it and being sued and stuff that it doesn’t care if they don’t have a cap. People are not using the program. The Department of Labor has actually taken some of the requirements from H2A and putting them in H2B. We know that people aren’t going to want to use it based on the H2A companies not using the program. One provision up to 30 days before somebody comes to your worker’s [inaudible 00:16:51], if an American wants the job and he’s some other state across, you have to pay his transportation over to your location and see if he’s going to take the job. I know most people pretty much want the American workers anyhow, but they’re just not able to find them. Some of our member companies have had to get into the HR business, human resource business, and hire somebody. It’s a constant merry-go-round. Many of them told stories of having five or ten openings and interviewing 100 people to find somebody to fill those few positions, and then finding a few and then they don’t last but a few days, or are not fulfilling the requirements of the job. It’s gotten much more difficult to field a crew of doing work. Even because of the economy slowing down, eventually it’s going to get better, and eventually we’re going to all want those workers again that we need. Some of the states have been passing more difficult legislation on having to do e-verify of the Social Security numbers of the workers before the worker comes to work, and having more penalties against the illegal workers. Or taking business licenses away, as Arizona has as a requirement if you’re hiring or employing illegal workers. It’s a problem. The problem is not only going to be hiring them, but if they go back and check existing employees through Social Security no match ledgers or anything else and do some of that verification, you’ll end up like that employer that lost 30 workers. That’s a nutshell about some of the immigration problems. Of course Congress with an election year. haven’t wanted to address the comprehensive immigration reform. Because of these regulations, we have gotten together with several other parties and sued the Department of Labor and have a temporary injunction against the program rule. Not the wage rule, but Congress has the wage rule on hold until September 30th. Now the way they fund the government with continuing resolutions to just take what the existing budget is and roll it over for several months, it looks like that’s what they have done. Which will make that temporary injunction on the wage rule continue on until possibly March or April, because it’s part of that continuing resolution of funding the government. That doesn’t include the wage rule. So we need the lawsuit, a ruling on the lawsuit, to cover the wage rule. Then all the same arguments are given which will end up applying to the program rule at the same time too, so that we’ll get the program rule an injunction, then it’ll carry over to the wage rule, and we won’t need Congress. We have to keep working from both aspects. We’ve spent close to $300,000 on the lawsuit already and we’re needing additional funds to keep it going. Whether you use the program or not, if we want a program in the future that’s workable, we need to save the program and contribute towards the lawsuit. Jonathan: When is this ruling expected on the program rule side? I realize the wage rule might be delayed to March or April. Do you have any [inaudible 00:20:48]? Tom: We just filed just yesterday, the U.S. Department of Labor has filed an appeal. The 11th Circuit Court of Appeals is where it’s at, and our lawyers just today filed their papers answering the appeal by the Department of Labor. We think a ruling should be coming soon, on the regulation rule that will also affect the wage rule. We have a good case, and based on the judge that we have in the northern district of Florida and the questions she asked the Department of Labor, and the fact of our main contention is that the Department of Labor doesn’t even have the statutory authority to promulgate these rules that they have put out there. They really haven’t been able to answer that to the judge to this point. We will be asking after the appeals for a summary judgment, which will speed it up and hopefully come soon. Jonathan: My feeling on this has been that basically behind the scenes with the increased complexity that’s being introduced in the program, that basically it’s trying to be dismantled or done away with. Is that a fair assessment? Am I thinking about that correctly? Tom: Yes, by trying to make it like the H2A program and try to make it more difficult to use and expensive, people just won’t use the program anymore. People will have to, and some have, either had to downsize and just take less business, based on the number of employees that they’ve had. Or some of them may have to just plain go out of business as not being able to field a workforce. Some of them because of where their locations are, they’re in resort areas, so it’s that much more difficult to find employees to work. Or there’s even parts of the country where if they had illegal workers they would use them, but they don’t even have them there. So finding a workforce has become more and more difficult in our field and in the other industries that are seasonal or use temporary workers. Jonathan: Really for any company, but for a small company as well, and I know it’s a company decision, but with all this going on, if it makes sense to be in the program is it still wise to try to join the program and become part of it? Tom: I think the decision has to be made is how difficult is it for you to find employees and keep them for the period of time or 12 months? If you can find a workforce, that’s probably the better thing to do. Because I mean the program is costly to use also. You’ve got to add up what it costs for agent fees for processing and the application fees for processing and evaluate the company that you’re using, how well they’ll be able to fill the paperwork out. Sometimes just having paperwork turned down can cause you enough trouble to not get your workers on time. When you’re dealing with contracts and expecting workers to come at a certain time, you want to have a reliable company that processes the paperwork for you. There’s been more and more auditing being done by the Department of Labor. Part of the Department of Labor is wage and hour, and they’ve been coming out and auditing companies that use the program and companies that don’t use the program, looking at the way you’re paying workers and what you’re withholding, and making sure that you’re paying what’s required by the federal government for H2B workers or the non-H2B workers. There’s still companies using the program. They just have to judge the cost of it and what the alternative is of not using it. There’s companies that are getting ready to file again soon their paperwork. As we look at what we’ve got with Congress and the lawsuits, we look pretty well, that we think we’re going to be successful in it. It’s like anything else, I don’t want to rely on the U.S. legislature doing anything that’s going to affect my livelihood. It may wait further to see how they might do something. The same thing with the courts, as we’ve seen Supreme Court rulings and things like that that affect the health care ruling that we’ll have to deal with and immigration by the states. We all do what we need to do based on our expectations for fulfilling existing contracts, and certainly in the growth. Even though the economy has been tough, some companies are still doing Okay and some of them still have plans for growth. Having a workforce is one of the main issues with the growth that companies intend to have or want to have. Jonathan: I’ve known of several companies that have been through audits for H2B. What is usually the biggest risk or biggest thing that a company needs to do? Obviously they need to follow the requirements and letter of the law if they’re going to be in the program. But what are watch outs or any advice you have for a company to protect themselves in case they go through an audit, or how to handle themselves if they go through an audit? Tom: One of the keys to an audit is being able to fill the paperwork that they’re requesting you, the proof of your procedures and your contracts or your employee records, and also your wage records and stuff. Having a good agent is one thing, because they’ll be helping you with paperwork and whatever, but depending on what’s asked and what situation you’re in, you may want to end up retaining a lawyer that has experience in labor law; other than some lawyers that are criminal lawyers or other types of lawyers. You want to find a lawyer that’s experienced in wage and hour requirements, or if you’re H2B, in the immigration part. If you’ve done everything you’re supposed to, that doesn’t mean you can’t still be audited. Some of the biggest headaches have been to the companies have been meeting the requirement of what documentation they want. One company had to spend weeks gathering all the paperwork. Some of them go back to even the hiring process. They want to make sure that when you were having the job open, that you’ve interviewed people when you’ve advertised the job and interviewed properly and stuff. Whether you’ve followed the requirements or not, it’s never any fun to be audited. Having legal representation is always a wise thing to do. Jonathan: Okay. One more along the labor side. For the companies that choose not to be in H2B and they’re hiring local workers, do you have any suggestions for them? Any general knowledge that you’ve learned over the years on things they should be thinking about or doing? Tom: Certainly you’ve got to have your I-9s in order, your proof of citizenship of the worker. The proof that they give you for being legal to work. Make sure you understand what that paperwork looks like and make sure you’re not accepting any paperwork that looks very obvious of being fraudulent. You’ve got to treat all your workers the same and all your I-9s the same. You want to go back and maybe fix, if you’ve got failings on some of them, go back and get some of the documentation that you needed to make sure you’re legal in that way. The other thing is just trying to field the workforce. There’s different ways of trying to look for workers. We put some stuff out on our website, we have an H2B toolkit, and we also have a toolkit on our website of dealing with environmental questions on dealing with pesticides and fertilizers and organics and things like that. We have some help out there for that. Make sure you know what the requirements are for I-9 forms and make sure your files are all up to date with the proper documentation, for old workers and the new workers that are coming on. 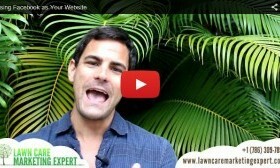 Jonathan: On your website, so you’re referring to landcarenetwork.org? Is that correct? On landcarenetwork.org, do you know off hand where someone would look for that information? Tom: Go into the “government affairs” section and then look at the tool kits that are out there for dealing with . . .
Tom: Toolkit, that’s two tool kits there. Jonathan: Excellent, Okay. You earlier spoke about the H2B program in terms of contributing to the fund. How would someone go about doing that? Tom: They can contact me at tomdelaney@landcarenetwork.org; or on our website, we have posted our H2B updates. You look under the updates, and out there we’ve listed the address and information for Greenberg Traurig, which is the law firm that we’re using, and we give you instructions of how to contribute directly to them on the lawsuit. If you’re dealing with an agent, you can work with your agent. Many of the agents are accumulating funds from their clients to send in to the lawsuit. Jonathan: Very good. Great. I know we have limited time here and I do want to talk about pesticides. Any last things I should mention? I know I’ve kept you for a while on labor. Anything else we should say? Tom: Just keep trying to be updated. Check our site, and certainly we encourage you to join your association and state association. If you’re in Texas, Texas Nursery and Landscape Association, state association. Many states have landscape contractors associations and lawn care associations in addition to joining PLANET. We have, when you join, special indicators that you can indicate your interest in H2B or pesticides or fertilizers, so that when we send out an alert we send it out to all those that are interested in H2B. We don’t want to inundate those members that don’t use the program, because a lot of the chemical lawn care guys have to have English speaking workers to work with their customers. They’re not able to use the program if they’re just Spanish speaking employees. Jonathan: Right. Is there anything, one of the concerns for a lot of guys, like we said, was labor. There are a lot of concerning things happening in the industry. My argument is there are concerning things happening in every industry, so I like to mention that because I don’t want guys to be deflated or scared off. I think that the businesses that are building are a waste. On a last note here, are there any positives you’re seeing on the labor side, any good things happening that you can mention that are positives for the industry on the side of labor? Tom: I think it’s still a good business to get in. Even with the economy, people are still possibly not meeting their growth expectations for the year but still growing. It’s still a great industry to be in, you just have to be as professional as you can in the business. Too many people in the industry like working outside and forget the business part of it, don’t bid properly, don’t keep their paperwork right. You have to do the business side, have a good business plan and go along with the working outside and the labor part of it. Many people, that’s their retirement is the value of their business, and it behooves you to keep its value up by following good management practice for business and good management practices for taking care of your clients and protecting the environment. Jonathan: I couldn’t agree more. I find that if companies will run their businesses like real businesses, there’s tremendous potential. I really believe in the business in this industry.